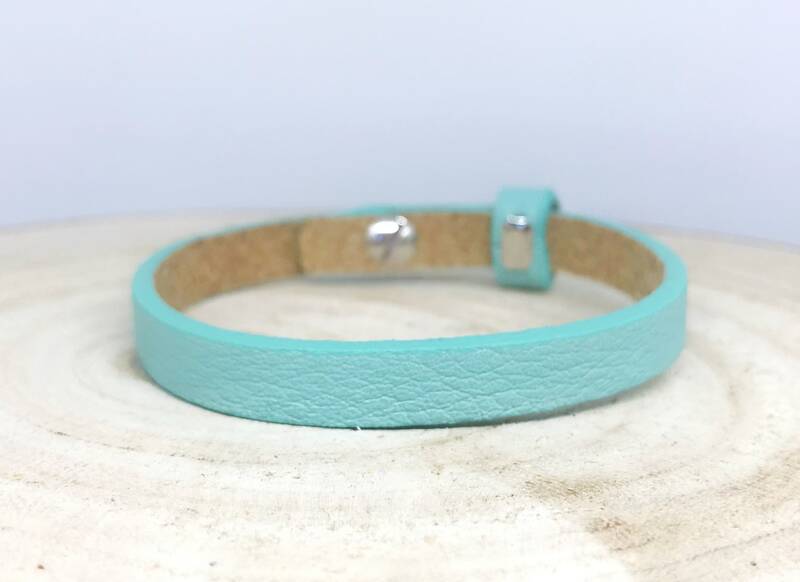 Leather strap simple "Aqua blue"
Here we have a beautiful wrap bracelet made of Cuoio leather. The leather is very pleasantly light on the skin. Through the buttonhole clasp the wrapping bracelet can be adjusted to the wrist. The colour of the wrap bracelet is Aqua blue. Glass jewelry set "Anchor blue"
Leather bracelet Double "navy blue"